Joe discusses the Jared Kushner investigation and whether he was wrong in his attempts to backchannel with Vladimir Putin, Kathy Griffin makes a fool out of herself, Joe takes new callers in attempts to win the $400 in ‘Name that Tune’ and more! Joe discusses what he did for Memorial Day Weekend, Joe interviews Johnnie Jackson, a stand-up comedian from NYC, Find out if Ronnie Gunz or Dave from Virginia win the $400 grand prize in ‘Name that Tune’ and more! Joe discusses what kind of effect the Manchester Bombing will have on future concerts/events, Dirty Dan comes on the show and talks about his new squeeze and then attempts to win $300 playing the ‘Name that Tune’ contest, and more! Joe interviews Soheyla, a fashion model and entrepreneur from NYC. Soheyla discusses what she wants from a man, how she makes money while she sleeps, and how she gets wet by just walking around her apartment! Joe discusses the terrorist attack in England, Former CIA Directors comments about President Trump sharing classified information with the Russians, and more! Joe discusses President Trump’s visit to Saudia Arabia, Trump still has a major storm brewing in the US, How the LGBT community is rising fast, New callers attempt to win the $300 game prize, and more! Joe breaks down the beauty of all the things that Craigslist has to offer, Fans from across the country call in trying to win $300 by playing the ‘TV Sitcom Theme Song’ contest, President Trump was at his best yesterday, and more! Joe interviews Jonathan Randall, who is an up-and-coming standup comedian living in NYC. Joe discusses The Justice Department appointing a special counsel for the Russian investigation, and more! Listeners from all over the country call in trying to win the $250 in ‘Name that 80s TV Series,’ Joe discusses whether President Trump really asked James Comey to shut down a federal investigation, Do you think Trump will be impeached, and more! Joe takes on callers trying to win $200 in ‘Name that 80’s Sitcom Theme Song, Abe from Long Island comes on the show to promote his business and explains to Joe that his time is money, and more! Joe interviews Coco from Illinois, who is a singer/songwriter and mother of three who homeschools all of her children and gets into it with Joe, Greg from Long Island calls the show to give dating advice to all the single ladies, Dirty Dan plays the ‘Name that 80s TV Series’ for $200, and more! Joe interviews Christopher Mazyck from Brooklyn, NY. Chris talks about what it’s like playing Division I football, how girls would throw themselves at him at clubs, and what it’s like being a model in NYC. 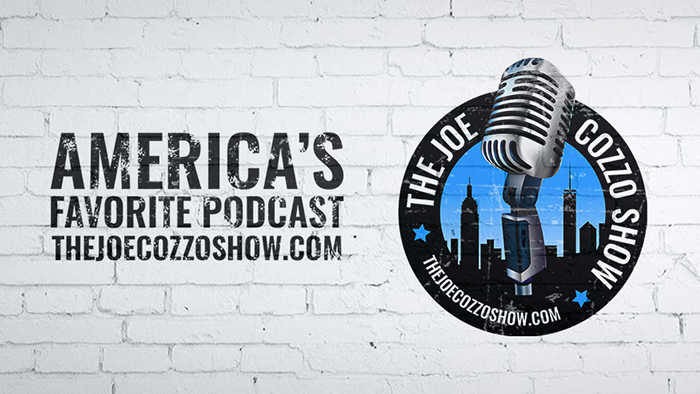 Joe discusses how a white cop is now being taunted bc he found out he’s part black, and more! Joe discusses the firing of FBI Director James Comey and the recklessness of President Trump, Matt Harvey’s heartbreak, Marshall from New Orleans calls in and talks about bartending on Bourbon Street, and more! Joe brings on new a guest, Alex from Montana. Alex talks about his quick decision to hop in a car and move to NYC, why he wanted Bernie Sanders to become president, and how he sings at subway stations for cash. Joe and Crazy Robert bs on the phone and start pranking people, Theo the Great formerly known as ‘Slow Theo’ returns to the show and performs an acting monologue, and more! Joe discusses Stephen Colbert’s vulgar Trump rant, Filmmaker Michael Moore would rather see a nuclear war than to see Trump succeeded, Is Adriana Lima cheating on Matt Harvey, and Crazy Robert plays name that tune! Joe discusses President Trump’s willingness to meet with North Korean President, Kim Jong Un, Joe brings on two new guests: singer/songwriter, Reina Williams from NYC and Terrell Rouse from Virginia who is an actor and promoter. Joe discusses his opinion on being around sick people at work or at home, How TV Shows were allowed to use the N-word back in the 70s and 80s, Joe brings on a new guest to talk politics, Wize Grazette from Brooklyn, NY, and more!